ValueSeal is a commercial grade ultra thin sheet membrane for interior waterproofing of floors and walls that is flexible and very cost effective. 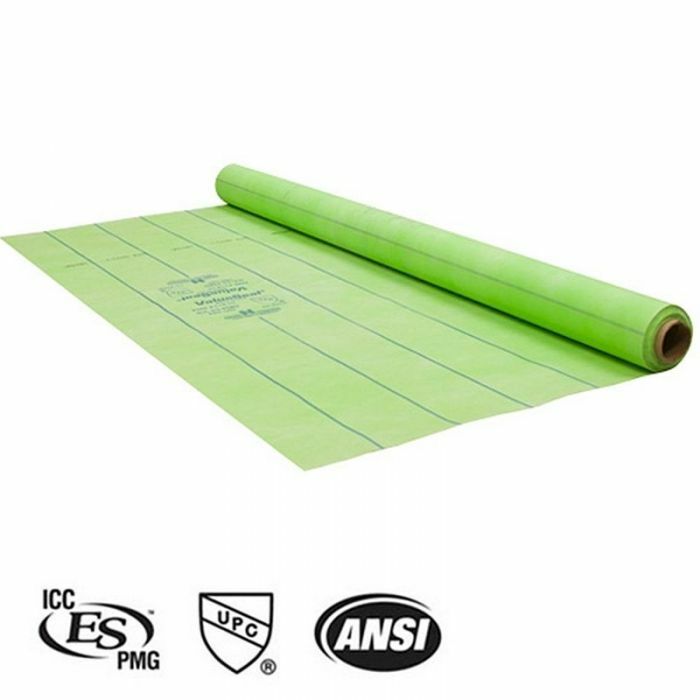 Sold per 6 ft. x 66.67 ft. roll (400 sq. ft.). ValueSeal is a commercial grade ultra thin sheet membrane for interior waterproofing of floors and walls that is flexible and very cost effective. At only 16 mils, it is Noble's thinnest membrane. Applicable for vertical & horizontal waterproofing & joint bridging/crack isolation. Will hold a fold, so can be quickly formed to precise custom shower-pans in the field. Available in 3' x 6' widths. Apply with latex modified thinset or Noblebond EXT. Suitable for concrete and plywood substrates. Translucent, easily see coverage of bonding agent.